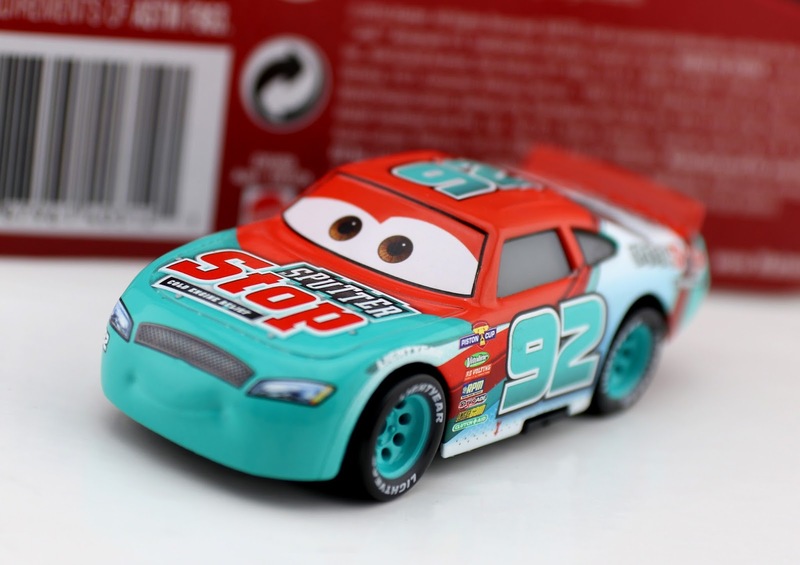 Today's going to be another quick and simple post as I take a brief look at the Cars 3 Mattel 1:55 scale diecast of Murray Clutchburn (also known by his sponsor Sputter Stop— No. 92)! 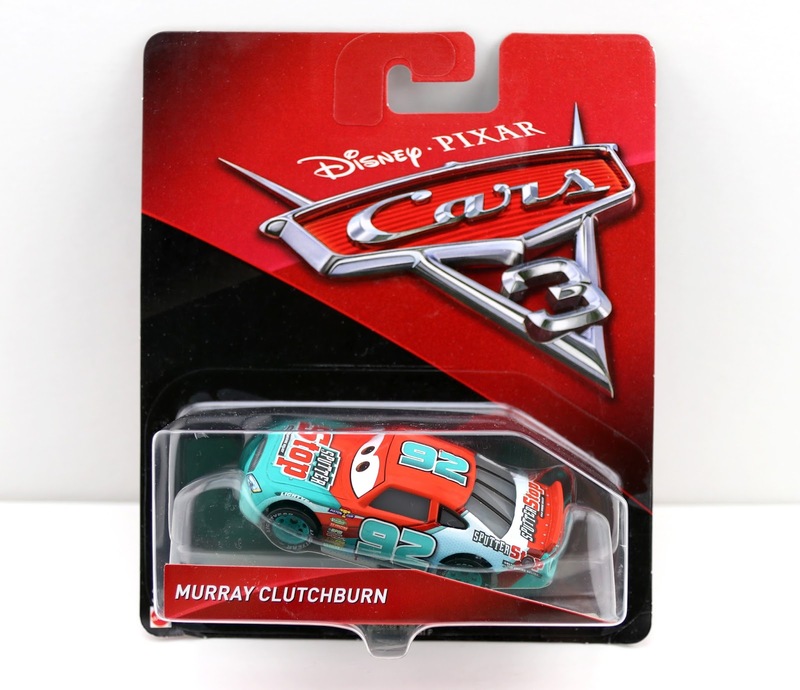 Murray was one of the first characters to be released in the initial Cars 3 merch launch back on May 1st. As shown in the screenshot above (sorry it's not much since I have to go by the trailers until the Blu-Ray comes out), Murray is one of the many Piston Cup racers seen participating in the various races towards the beginning of the film. Like a few of the other Cars 3 Piston Cup racers, he first appeared in the original Cars. Yup, apparently this is still the same Murray Clutchburn (with the same number and sponsor; however with an upgraded look design wise) that was seen racing all the way back during the time frame of Cars 1. I guess after all these years, he's still going strong! See his original design and diecast blog post HERE. So far, Sputter Stop here has only been released as a single. No multipack releases just yet, but I'm sure they'll happen in the future. He's still very easy to find in stores (at least in my neck of the woods), so be sure to check your local Target, Walmart or Toys R Us for availability. If you'd rather just pick him up online, visit current eBay listings HERE or Amazon using the direct link below. Let me know your thoughts in the comments below! If you're also a collector, I'd love to hear your success stories. Have you found any of the latest Cars 3 releases? For some reason, all the newest cases haven't hit my area yet (in fact, there hasn't been a restock of mainline diecasts since May). It's totally nuts! My area can't be the only one struggling right?